Branding : Vuitton collaborates with Jeff Koons for new line of bags and accessories. 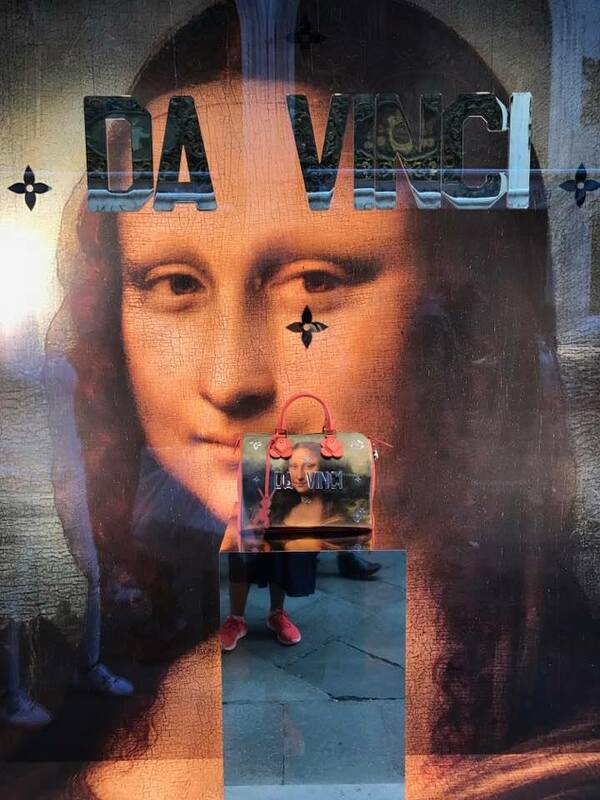 Home » Marketing » Branding : Vuitton collaborates with Jeff Koons for new line of bags and accessories. In the field of luxury goods, innovation is sometimes lacking. Marketeers spend a lot of money on creative advertising campaigns, innovative stores and display windows (see those examples of Vuitton display windows : here and there), refined interactions with customers and higher service quality. But what about the products themselves ? The most sought after Hermes handbags have remained the same for decades ; the look of Vuitton products has been renewed with only gentle touches. Designers are probably asked by marketers not to go too wild to avoid losing loyal customers. As a matter of fact, the fear of losing customers has led many brands (either implicitly or explicitly) to be very cautious with products evolution (think about the 911 Porsche for instance whose design hasn’t changed much in 40 years). Is innovation in the luxury sector lacking ? 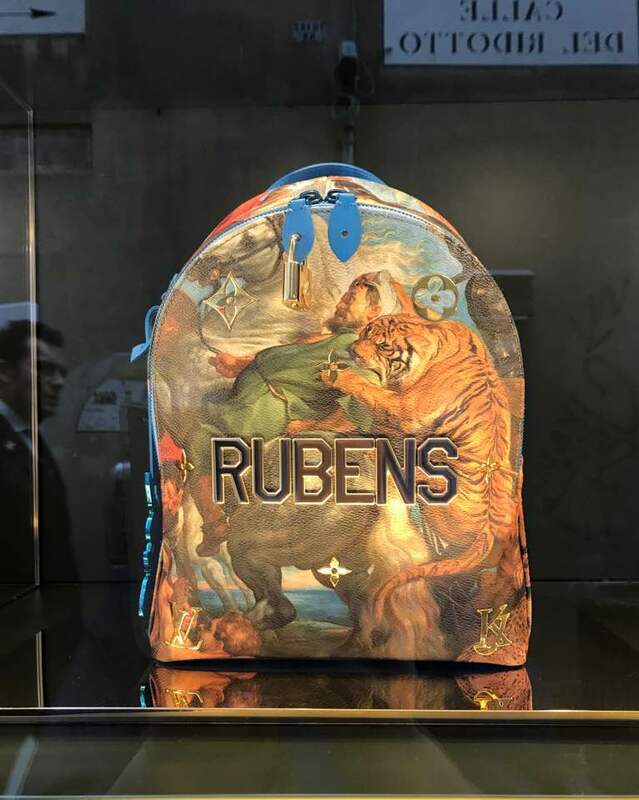 It’s therefore all the most refreshing to report on the collaboration between Jeff Koons and Vuitton that has given birth to a series of handbags, rucksacks and accessories that are really very far from the norm. Paintings’ masterpieces were turned Art into luxury must-haves (priced up to 4000€). Andy Wahrol had also once turned Renaissance Art (Botticelli’s birth of Venus) into a kitsch object. Koons isn’t far away from using the same “trick”. 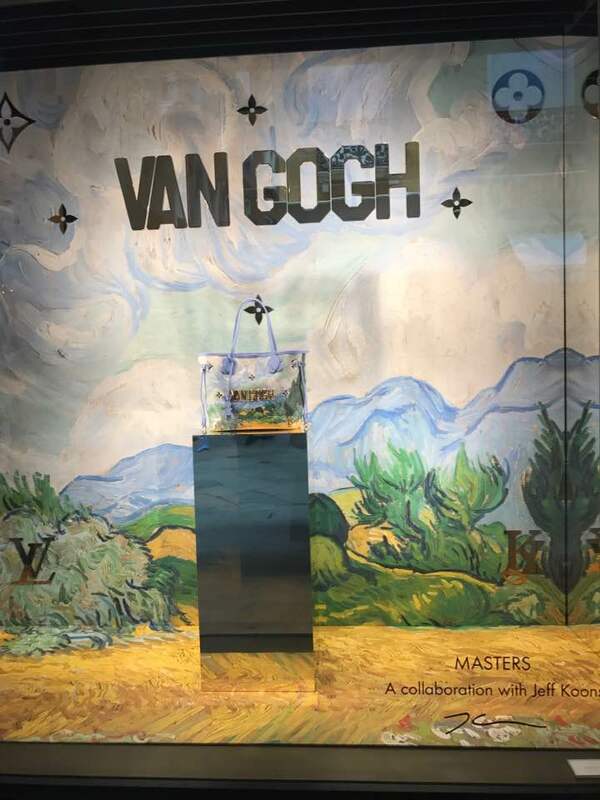 Van Gogh, Rubens, Da Vinci, Fragonard suddenly becomes associated to objects that had already been elevated to the status of luxury symbols (just watch the queue of potential buyers in front of the Vuitton store on Paris’ Champs-Elysées and you’ll understand what a Vuitton bag socially means). In terms of branding, this initiative is also very interesting and worth further discussion. The pictures below were taken at Venice Art Fair. Are those bags still usual objects ? Or have they become works of Art ? Another interesting question is whether something remains from the Vuitton brand in this initiative. Could it have happened with any other brand of luxury bags ? Was the association with a renown luxury brand actually necessary ? Could Koons have done the same with leather goods made by an unknown brand ?